In its first big update since launching its activity tracker early last year, Nike is taking the wraps off its newest device, the FuelBand SE. 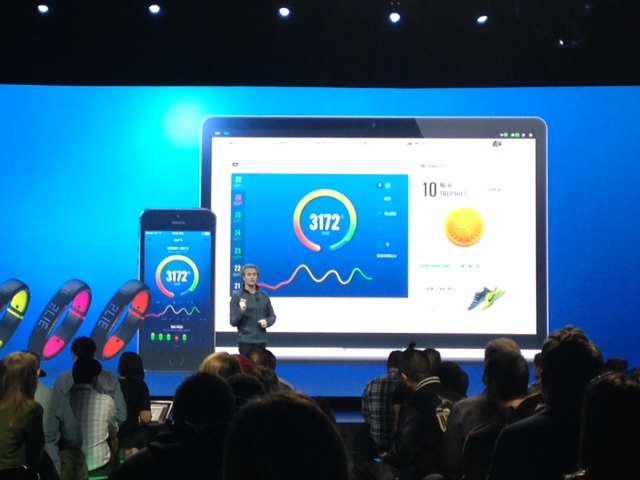 On Tuesday, the company showed off its second-generation FuelBand, which not only comes in black with an array of colors on the inside band but includes a range of features meant to improve fitness tracking and encourage users to move more. The new device, which will retail for $149, is better able at separating actual exercise from movement meant to trick the device into registering more “Fuel” points, which is the company’s metric for representing users’ activity. At the event, Olander said the new device is also more water-resistant, provides hourly reminders to get users moving more and lets users tag their sessions so that they can better track their activity. For example, users who practice yoga can now get credit for the activity, even though their arms may not move. 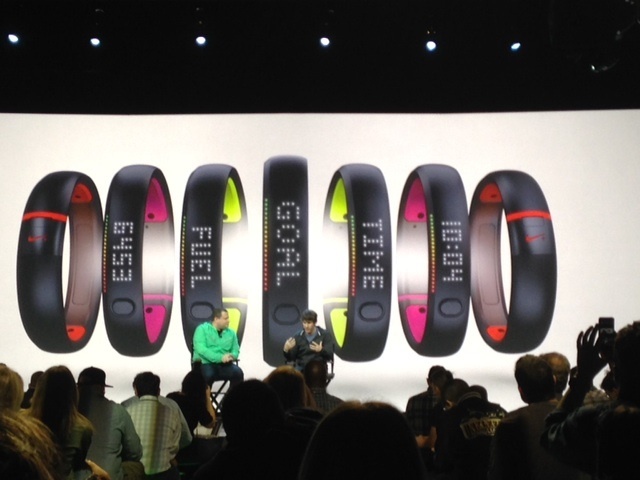 When paired with the new Nike+ app, the FuelBand SE also lets users form groups (to compete or share accomplishments with friends or others training for the same event) and it expands the selection of “trophies” users can earn for achieving various milestones. Users of the current FuelBand might appreciate another convenient feature that enables users to see the time after tapping the band’s button twice. On the heels of its new startup accelerator program with TechStars, the company also announced a new Nike+ Fuel Lab, which will be located in San Francisco and enable Nike to expand its ecosystem with more established companies interested in working with its data. The new FuelBand SE will be available beginning Nov. 6, but the company said a limited time pre-order begins today at www.nike.com/fuelband. and missed to access the mass market ? SE could also stand for Sport Enthusiast as Nike does not succeed to go beyond their main target segment. Agree with previous comment: premium pricing but no Android is an issue. I was interested until I saw the price tag. I’ll pass. No Android compatibility? That seems almost quaint nowadays. TOO EXPENSIVE. $149 for a limited in scope device? NO THANKS!